VOIP is the next generation in telephony worldwide, VOIP stands for Voice Over Internet Protocol and has become the fastest growing form of telecommunications in South Africa. Normal phone calls travel across copper wire (PSTN) or digital (ISDN) phone lines that have been laid out all over South Africa by Telkom. VoIP phone calls are different because you don't need to use these phone lines - you just need an internet connection. It is important to remember that since the birth of VOIP telephony broadband connections throughout South Africa have improved dramatically, in conjunction with dedicated VOIP data lines voice quality is identical to Telkom lines. VOIP enables call savings through a number of avenues. 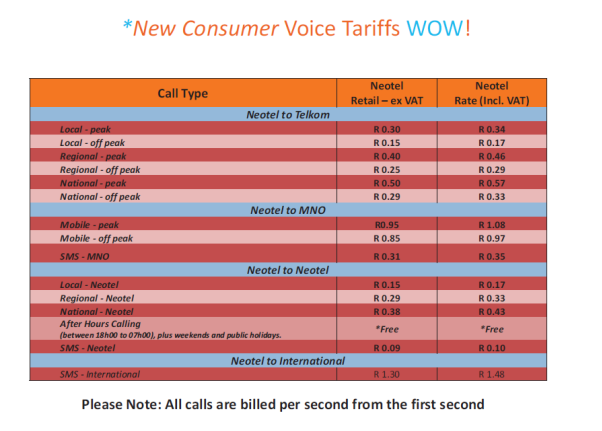 VOIP call rates through our VOIP providers are significantly cheaper than those of a traditional Telkom line. See the below cost comparison sheet. Interbranch calling is free of charge greatly reducing call costs for companies with one or more branches. On top of the immense call savings VOIP enabled PBX’s bring the ultimate in technology to your business or organisation. Work from anywhere in the world as though you were in the office at all times. Contact us now for more information and how we can help you with a VOIP solution.